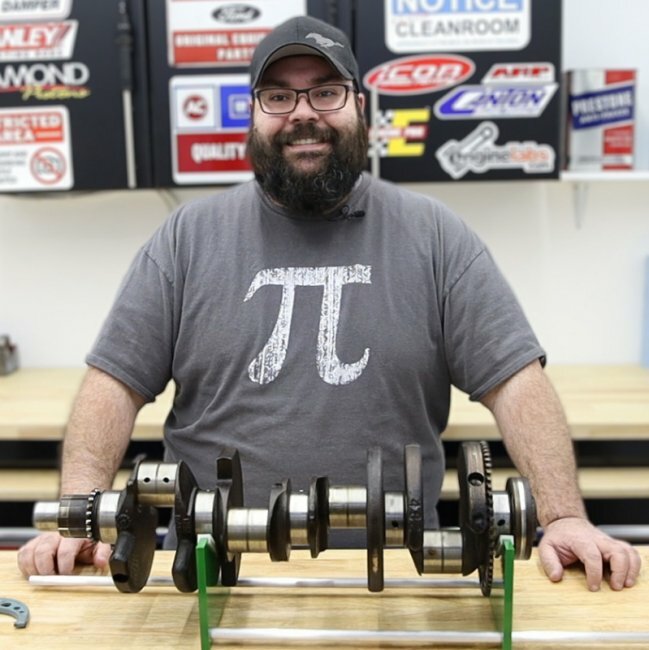 Westech Performance Group might sound familiar to you – they are one of the most trusted dyno facilities in the country, and are used by a wide variety of manufacturers and media outlets to perform engine testing. They are also the facility we used for the first LS vs. Coyote Budget Shootout testing. For this test, we had both Late Model Engines and MPR Racing Engines ship their entries to Westech, where we fabbed up some intercooler plumbing for the dyno – with tubing, flanges, clamps, and couplers from Race Part Solutions – and put the finishing touches on the engines before hooking them up to the dyno and wringing them out. These words above the dyno cell at Westech Performance Center really say it all. No more talk, just real data and real power. $15,000 budget for the engine build (based on Summit Racing’s current pricing), not including the basic machining, supercharger, injectors, or electronics. Any advanced or unique machining (like porting or sleeving) will come out of the budget. VP Racing Fuels’ C85 fuel to be used. Both engines will be tuned with a Holley Dominator ECU, by an impartial third-party. 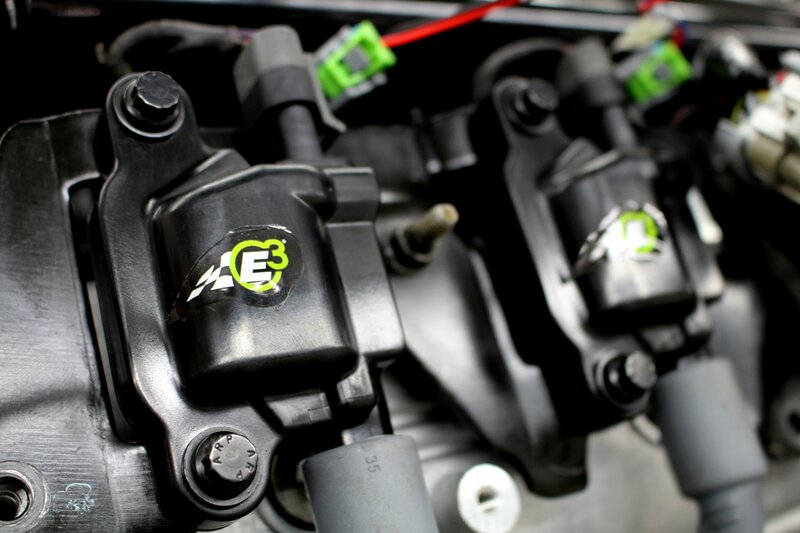 Any ProCharger supercharger may be used, with a maximum 12-rib serpentine belt drive. A full breakdown of the competition’s rules can be found here. Thanks to all the V-band flanges, V-band clamps, silicone couplers, T-bolt clamps and tubing from Race Part Solutions, with a little fabrication, we could use the same intercooler on both engines to completely eliminate one variable from the competition. To make everything fair across the board, we used the same ProCharger intercooler on both engines. 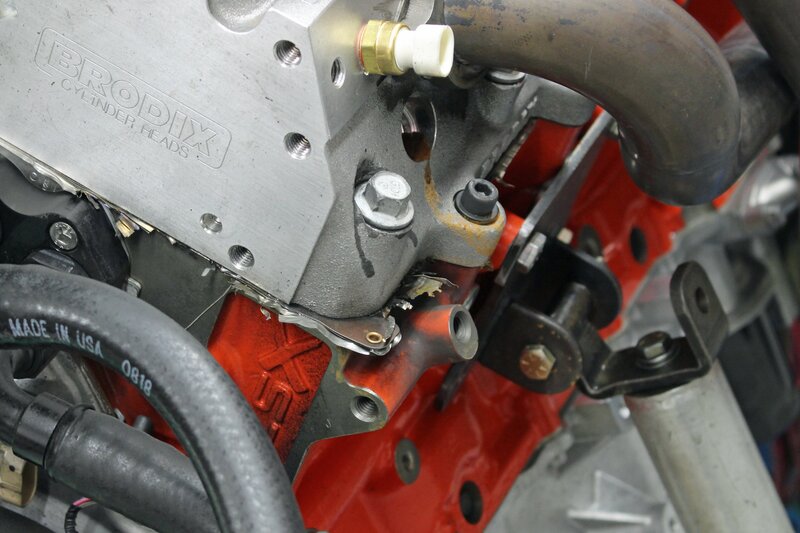 To do this, we had to fabricate charge piping for the Coyote to match the LS routing, for an easy swap. For that, we turned to Race Part Solutions for the supplies needed. To make the competition as fair as possible, it was decided that an impartial third party would be used to tune both engines. For that job, we tapped Matt Bell, owner of Redline Motorsports. “I started tuning on my own stuff in 2006. Then in 2010, I purchased a chassis dyno and started doing it professionally,” explains Bell. We tapped long-time small-tire drag racer and professional tuner Matt Bell, of Redline Motorsports, to tickle the keys on both of our engines for this competition. Familiar with both combinations, he is an impartial third-party who only wants to see one thing – more horsepower! At his shop, Bell sees combinations similar to these, day in and day out. “These combinations are very typical of the average cars that I tune daily and weekly. The only difference is most LS motors that are in street cars have a smaller blower,” says Bell. “The cars I tune that use the F-1X, generally don’t use serpentine belts to drive them. They use cog belts or even gear-drive units for all out race applications.” Bell knew right away that the belts were likely to be a key challenge to overcome in this competition. But they were required by the rules. For the competition, both engines will be running VP Racing Fuels’ C85 ethanol blend. While C85 comes in a drum, it is an analog to good pump E85, which is wildly popular thanks to its low cost and solid performance potential. 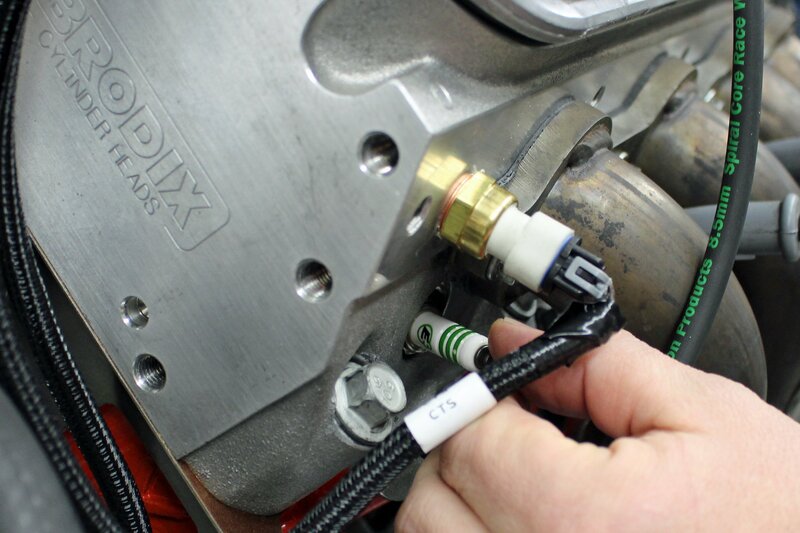 To tune the engines, Bell will be using a Holley Dominator EFI system. 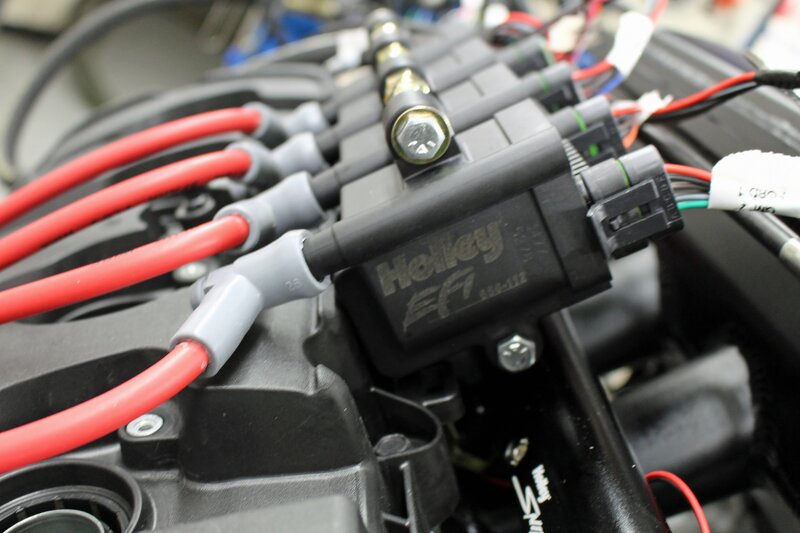 Composed of two main parts – the Dominator ECU and the Holley EFI V5 software – the Holley system is not only more than up to the task of handling both engines, but is one that Bell is extremely familiar with. This is the Holley Learn Table. The numbers in the cells are the percentage of adjustment the closed-loop system had to make to the base map, to achieve the commanded AFRs. The system is powerful enough to make huge corrections, but the closer the base map is, the smaller the correction required. The smaller the required correction, the faster the system is to respond and the more horsepower is made. Part of the Dominator’s appeal, is that it is a very versatile system, allowing the tuner to tune in whatever style is preferred, but with the ability to automate and help in areas that are tedious and time-consuming in other systems. “It has 2 types of correction: closed loop and learn table,” Bell explains. The Holley Dominator EFI system runs off of the Holley V5 software, which is not only powerful, but very user friendly. On the left is one of the software's advance features, which is the ability to pull timing based off of Manifold Air Temperature. On the right is a sample of the internal datalogging abilities of the Dominator. The first engine up on the Westech dyno was the Coyote engine built by veteran engine builder and drag racer Tim Eichorn of MPR. Coming into the competition, it is definitely the “David” in the “David vs. Goliath” matchup, as it only measures 1.67 cubic inches over the stock configuration, thanks to a minor ten-thou overbore. That is the prevailing theme with this Coyote build, however, as it retains a number of stock components, both to stay within the extremely tight $15,000 budget, and because there just aren’t aftermarket parts available for some Coyote components. The Coyote utilized a ProCharger F-1A-94 supercharger and a ProCharger Coyote kit, which is pretty conservatively rated from the factory at 1,200 horsepower. The F-1A is a perfect match for the Coyote’s displacement and 9,000 rpm power band. Housing the rotating assembly is an OEM aluminum block from a second-generation Coyote engine out of an F-150, which has been machined by MPR to accept a set of ductile-iron sleeves from Darton Sleeves. The sleeves not only add brute strength to the block, they also increase dimensional stability of the whole assembly. Although the sleeves can take up to a 3.700-inch bore, MPR decided to stay with a minor .010 overbore for a final 3.640-inch bore size. Up top are a set of OEM Gen-2 castings off the same truck engine, which received a ton of work from MPR. 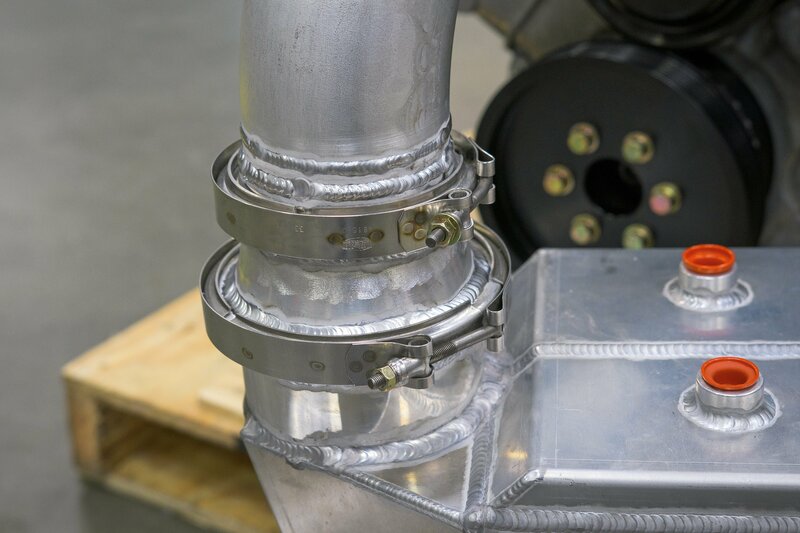 First, the castings were tossed in the CNC machine for MPR’s “blower port” porting program. Then a new set of oversized CHE valve guides were fitted to house the 1mm larger intake and exhaust valves from Ferrea. 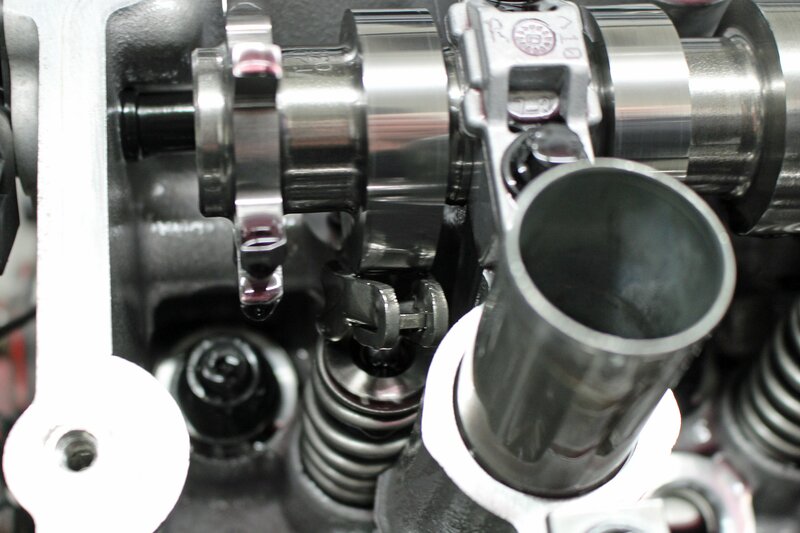 Manley valvesprings, locators, and retainers were used to beef up the valvetrain, while the OEM lifters and rocker arms were retained. Keeping the spark lit in a high-compression supercharged combination is no easy task. With the high-output Holley SmartCoils and MSD Super Conductor plug wires on board, along with the E3 DiamondFIRE spark plugs, which have been designed specifically for a supercharged Coyote application, the 5.0's ignition is all set for 30-plus pounds of boost and 9,000 rpm. A quartet of custom Comp Cams bumpsticks were optimized specifically for the supercharger, and were installed along with billet MPR camshaft lockout plates and actuator block-offs. A set of .045-inch-thick Cometic head gaskets seals the heads and block, coupled with a set of ARP head studs, made from ARP2000 material, to ensure that the heads stay put under an enormous amount of boost. 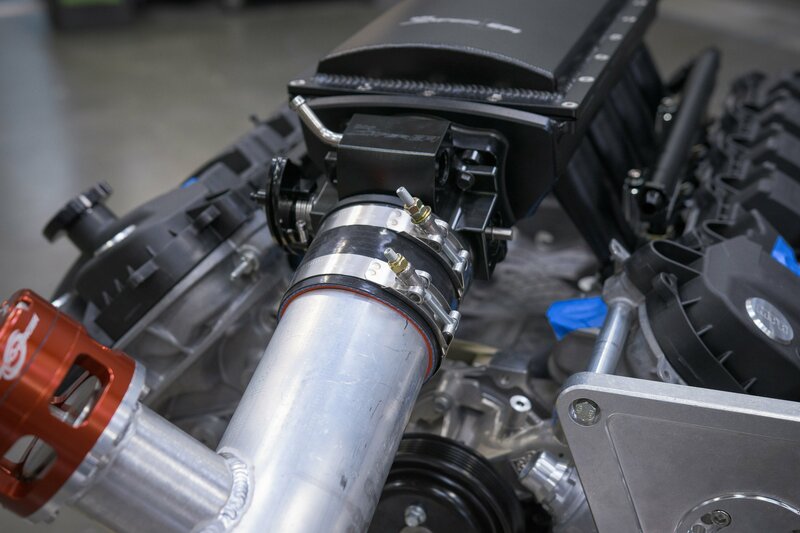 For the boost, ProCharger and MPR decided on the F-1A-94 supercharger, which is the head unit of choice for ProCharger-powered Coyotes to match the engine’s relatively small displacement and high operating range. Both of those factors would be a poor match with a larger F-series supercharger. While the spec sheets say the max horsepower for that supercharger is 1,200 hp, everyone involved expects far more than that from this engine. That boost is crammed into the heads via a Holley Sniper EFI intake manifold and 90mm mechanical throttle body, and fuel is provided by Deatschwerks 2,200cc fuel injectors. The final tally for MPR’s budget used is $14,668.52 based on Summit Racing’s current pricing. The Ford Performance Cobra Jet high-RPM pulse ring is designed to clean up the engine speed signal to the ECU in engine builds that will see north of 7,700 rpm. A few last minute upgrades to the engine to get it ready to run on the dyno were an upgraded Ford Performance Cobra Jet High-RPM pulse ring, overnighted to us by Summit Racing, along with a set of MSD Super Conductor plug wires to connect the Holley SmartCoils to the E3 Ignition DiamondFIRE Racing plugs, designed specifically for the supercharged Coyote application (PN: E3.112). While the DiamondFIRE ground strap configuration is unconventional, the open design better focuses the spark and flame kernel propagation, in addition to combating spark blowout at the elevated combustion pressures seen in this type of application. Since the Coyote wasn't broken in prior to leaving Florida, the Westech team performed the break-in process on the dyno. We used Royal Purple 10W-30 Break-In Oil for that process and the N/A pull. Then, the Break-In Oil was drained and replaced with Royal Purple XPR 10W-40 for the actual power runs. One of the first things that had to be done, was an initial break-in of the Coyote. With the compressed timelines, MPR hadn’t had a chance to break the engine in prior to shipping it to Westech, so that fell to us. We grabbed a case of Royal Purple 10W-30 break-in oil, filled the engine and oil filter up, and disconnected the blower charge pipe. 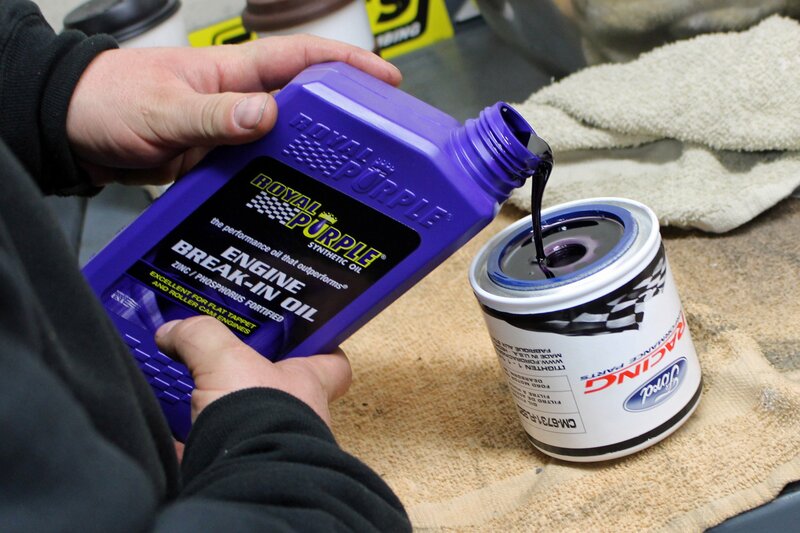 Contrary to Royal Purple’s normal performance oil, the break-in oil uses highly refined mineral oil as a base, and is then fortified with zinc and phosphorus additives traditionally found in break-in oil. The formulation is designed to promote proper seating of the rings in the cylinders, while the followers and cam lobes wear in with one another. Matt Bell whipped up a N/A base tune to run the Coyote N/A during the break-in process, and fortunately for us, the SuperFlow 902 has a “break-in” program that varies load and RPM automatically to make sure everything seats the way it’s supposed to. “With the break-in map, we’re just trying to obtain a good AFR so we don’t wash the rings out, and we get the engine sealed up before adding boost,” says Bell. The SuperFlow SF-902 has an automated “Break-In” mode, where it varies RPM and load in a specific preprogrammed pattern in order to ensure perfect ring seal every time. While the additional load on the engine from the supercharger might have helped the break-in process, one of the main reasons it was left on was to ensure serpentine belt alignment, as there had been some question as to the pulley arrangement during set-up. Once the break-in program was complete, a quick N/A pull was performed to make sure everything was looking good on the base map. The break-in oil was drained, and replaced with Royal Purple XPR 10W-40 for the power pulls. 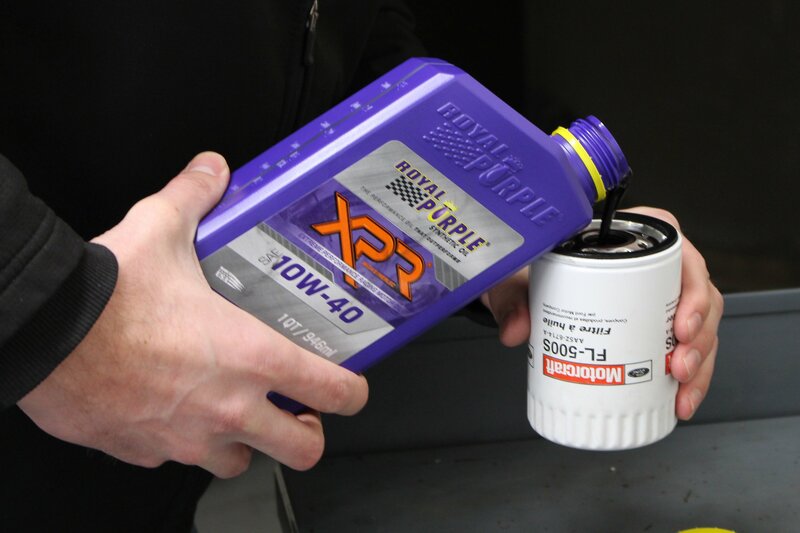 The XPR — which stands for “eXtreme Performance Racing” — oil is Royal Purple’s premier line of performance engine lubricant. It is a full-synthetic oil that is formulated not only to withstand the rigors of a competition engine, but to also work well with alcohol-based fuels, resisting the dilution and displacement effects alcohol can have on engine oil. Since we’re using C85 fuel, that’s a big plus for us. For the first pull on the Coyote with the supercharger and intercooler plumbing connected, it was decided to make a relatively short pull from 4,000-7,000 RPM, with the larger 4.50-inch blower drive pulley installed, and a very safe tuneup in the Dominator. The first pull on the Coyote was over 1,000 horsepower, and at 7,000 rpm, peak torque hadn’t even been reached yet. We quickly realized that the engine was barely getting started at 7,000 rpm, as the engine hadn’t even reached peak torque yet. With the first easy test pull netted 1,034 horsepower and 776 lb-ft of torque – and still climbing – with only 22 psi from the F-1A-94. A quick huddle with Tim Eichorn to verify how exactly how high he wanted us to spin the engine resulted in an RPM ceiling to work towards – 9,000 rpm. In addition to poring over the data on the laptop, Bell pulled one of the E3 plugs to ensure that everything looked good before he started pouring the coals to it. “My initial map was within six-percent, so I started trimming it out on the next pull,” recalls Bell. Before making big timing and fuel changes, Bell pulled a plug to read it, and make sure the plug reading matched the data popping up on the computer. With all of the indicators saying everything was good to go, Bell tweaked the maps slightly and the RPM of the sweep was bumped up to 4,500-7,500 RPM. When the numbers flashed on screen, there were smiles, as the slight tweaks and 500 additional RPM netted over 200 more horsepower, with the graphs peaking at 1,233 horsepower, 864 lb-ft of torque, and 25.5 pounds of boost – and all of the numbers still climbing. It was apparent that the Coyote loved RPM just as Eichorn predicted. With that promising pull, the next part of the plan was swapping the ProCharger 4.50-inch supercharger pulley for a 4.375-inch version and shoot for the moon. From the beginning, it was pretty clear that the Coyote’s game plan was to overspin the blowers to try to make maximum power, even though that carries with it some significant risk. The dyno was set for a 5,500-8,500 rpm pull, and the throttle was slammed open. Unfortunately, the gremlin that everyone was worried about finally reared its ugly head – belt slip. There’s a very good reason ProCharger recommends cog belts at these boost levels. While the curve looks significantly better than the previous pull up to 7,200 rpm, making a peak of 1,242 horsepower 300 rpm earlier than before, it was at that point that the belt started slipping and the engine started losing boost, dropping to 16.2 psi at 8,500 rpm. It was always a concern that the smaller pulley would cause the slip, when overspinning the blower this hard, and the team decided to try a shorter belt to increase tension to combat the slip. Swapping the blower pulleys was a relatively simple affair, allowing the team to swap back and forth between sizes, along with different belts, while trying to eliminate belt slip. 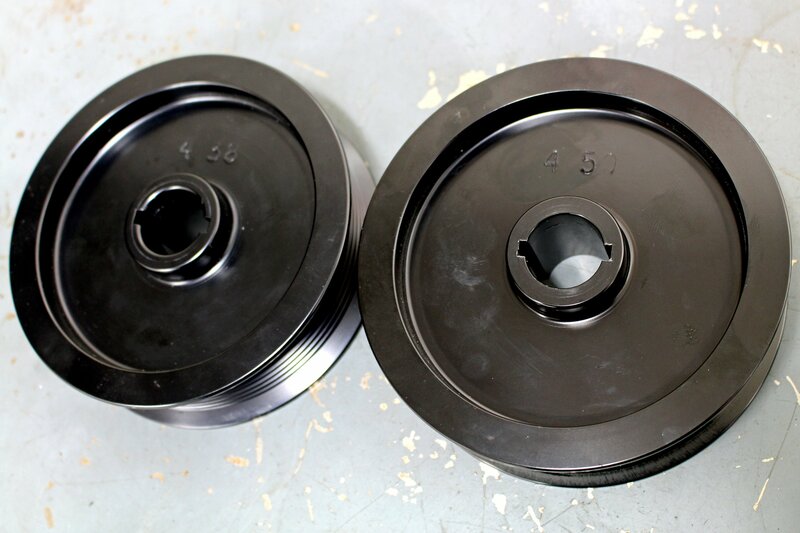 As you can see on the right, the 4.375- and 4.50-inch pulleys don't offer a huge visual difference, but comes to light when you start doing the math. Unfortunately, the shorter belt that was obtained from the parts store down the street to try and cure the belt slip, was just a regular 8-rib belt, and broke in exciting fashion only 300-rpm into the next run. We had no choice but to go back to the larger pulley. So the F-1A-94 got the 4.50-inch pulley and ProCharger-brand 8-rib belt reinstalled. The next pull was set to be another 5,500-8,500 rpm pull, but with the larger pulley on it. Bell tweaked the air/fuel ratio on this run, making a little more power, in fact, the curve matched the previous run’s power curve and boost curve exactly (even with the larger pulley on it), until 7,200 rpm, where the bigger drive pulley started surpassing the smaller one’s numbers, due to a lack of slippage. In fact, there was no slip at all. As the pull was being made, we all had smiles on our faces because it was apparent the Coyote was going to punch in a strong number — we had talked about the potential for the Coyote to make 1,500-plus horsepower. It was heading that direction as all four cams were howling and the boost was being packed into the Coyote at a furious pace. At 7,800 rpm it was apparent that something was wrong. Very wrong. The Coyote shuddered hard enough to cause Eric at Westech to yank back the throttle and end the test early. Our worst fears were confirmed. Rrrrrrr. Rrrrr. Nothing… The engine didn’t want to restart. Removal of the passenger side valve cover revealed a broken secondary timing chain, and two destroyed lifters. This was the end of the run for the Coyote. We were sure more damage lurked inside. As you can see, a broken secondary timing chain has pretty catastrophic effects on the valvetrain. This is only the damage visible from the exterior of the valvetrain. We never even got to see what happened in the cylinder. When you try to make 1,500-plus horsepower on factory parts and on a $15,000 budget, crap happens. We knew this. MPR knew this. Everyone knew the risks of trying to make huge power on a budget. At the same time, disappointment coursed through our veins as we knew the engine could put up a bigger number. While we may not have gotten to see the full potential of the Coyote in this test, Bell was pretty impressed with the engine. “I think we could have gotten to 1,400 [horsepower] fairly easily, and maybe even tickled 1,500,” says Bell. We hadn’t even leaned on it, but the Coyote was done. “We don’t expect that the damage is too bad. Maybe some valve guide work and replace a few valves, put it back together and let it eat,” concluded Eichorn. The dyno results would remain a secret to all outside the room, and especially the team at Late Model Engines and Bryan Neelen. The team was completely was blind, and was getting ready to rotate the world with their budget LS. This is the final power pull for the Coyote. For only getting started on the fuel and timing adjustments, and dealing with belt slip, these are impressive numbers. Matt Bell thinks that if everything had stayed together, 1,500 horsepower wouldn’t have been out of the question. Two of the inherent benefits the LS engine platform enjoys over the Coyote, is a larger abundance of aftermarket parts availability, and the ability to increase displacement easily and inexpensively. That is what makes the LS platform a Goliath. Moving to the heads, LME started with a set of Brodix BR-7 “porter’s castings” and then worked their CNC magic on the intake and exhaust ports. The team then fitted a set of 2.200-inch LME titanium intake valves and 1.610-inch stainless exhaust valves into the chambers, using dual valvesprings and LME titanium retainers and locks. The rocker arms used in the LS were OEM LS7 pieces, actuated by a custom-ground Comp Cams LS cam and Manley Performance 3/8-inch pushrods. Sealing the heads to the LSX block are a set of Cometic 6-bolt head gaskets, designed to allow the use of the LSX block’s extra cylinder head fasteners. The 6-bolt design gave LME the confidence to save some budget on the fasteners and utilize a stock set of head bolts to clamp the whole assembly down. 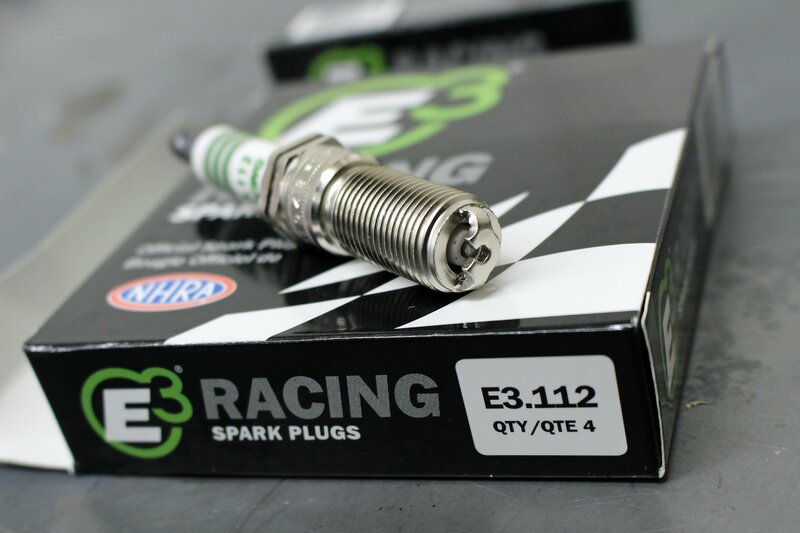 For the LS, we tapped into E3 Ignition's entire catalog, using the E3.101 DiamondFIRE plugs, 8.5mm spiral-core race wires, and DiamondFire LS coils. Directing the boost into the engine is LME’s custom billet aluminum intake manifold, designed specifically to clear the hood of a Corvette, while still providing big flow. Attached to the manifold is a Holley Sniper EFI 102mm throttle body, and a set of 2,200 cc/min Deatschwerks injectors, identical to the ones in the Coyote. All said and done, the LME entry used $14,985.37 of the budget, based on Summit Racing’s prices for the included parts. 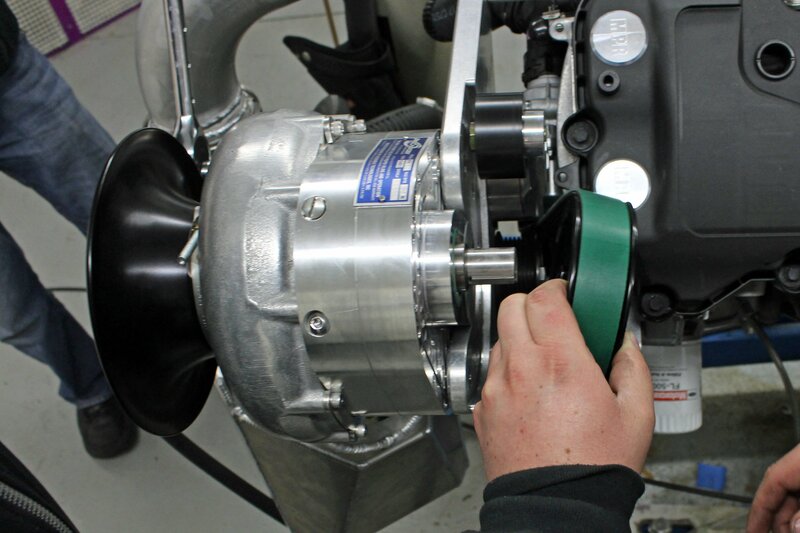 The team at LME selected the ProCharger F-1X supercharger for their application at ProCharger’s recommendation, due to the larger displacement of the LME entry. LME also choose a massive 28-percent overdrive crank pulley and a 4.50-inch supercharger pulley, which will provide 30-plus psi of boost to the engine. The key in this equation is the F-1X. It’s a bigger blower than the F-1A-94, but one which is rarely run with a serpentine belt. Unlike the Coyote, the larger F-1X was a better fit for the LS, both with the larger displacement but also the durability of the LS crankshaft and engine package. Like the Coyote – the LME team had plans to overspin the F-1X out the gate. Those of us who knew the F-1X’s power potential looked at each other and wondered, “why?” But it wasn’t our ballgame. It’s was LME’s game plan, and they seemed intent on spinning the F-1X to the moon in the quest to take this $15,000 engine into the winner’s circle. For the LS engine’s ignition, E3 coils, wires, and plugs were used to keep the candles lit under extreme boost, and received praise from Matt Bell. “I’ve seen stock-type LS coils have issues with spark and loads over 25 psi, but with the E3, this wasn’t an issue at all,” says Bell. Both engines used identical Deatschwerks 2,200 cc/min fuel injectors. Between the massive power potential of the combinations, coupled with E85’s additional fuel requirements, the big squirters were a necessity. With the LS engine broken-in before being shipped to Westech, all that needed to happen before the engine came to life was to fill it up with Royal Purple XPR 10W-40 oil, and have Bell load the initial tune onto the Dominator. That done, an initial 1,500-rpm pull was made. As we all looked at the dyno computer, heads shook. The numbers glowed on screen. Yes. 1,417 horsepower at only 5,800 rpm.. “The first pull made more power initially than I anticipated, and the fuel correction on the Holley was around 10-percent,” Bell says, of the Dominator’s ability to correct the base map to achieve a target air-fuel ratio. The F-1X supercharger is a staple in the X275 and Street Outlaw ranks, but isn’t usually found being driven by a 10-rib serpentine belt setup. While capable of big things with a cog or gear drive, the serpentine belt proved to be the horsepower fuse. With not much done to the tuneup, other than cleaning up the base map where the Holley made the corrections, a 2,000-rpm pull was the next order of business. We knew the the LS had just out powered the Coyote, but LME didn’t know. The 4,500-6,500 rpm sweep was borderline mundane, and resulted in an impressive 1,552 horsepower at 6,500 rpm, and still climbing. At that point the injector duty cycle was getting deep into the nineties, and timing hadn’t even been touched yet. So for the next run, Bell commanded an increase in base fuel pressure to get some additional breathing room on the duty cycle, and added two degrees of additional timing, coupled with adding 1,000 rpm of engine speed, running the engine up to 7,500 rpm. This is the second dyno run on the LS. A scant 2,000-rpm sweep, with base fuel and timing, and the engine broke the 1,500 horsepower mark, requiring more base fuel pressure. On that pull, the team was rewarded with two things. The first was 1,686 horsepower and 1,370 lb-ft of torque. The second was the dreaded belt slip, courtesy of the over-spun F-1X, starting at approximately 6,600 rpm, the boost peaked at 34 psi, and then started tapering off to 32.7 at 7,500 rpm. For the fourth pull, a new Gates Green belt was installed, along with a little adhesion promoter grip spray on the belt. It appears to have worked – at least earlier in the pull – and the boost ramped in quite a bit faster and the belt didn’t start slipping until 7,000 rpm, netting a shocking — wait for it — 1,751 horsepower and 1,418 lb-ft of torque. From E85 (C85). With a 10-rib serpentine belt. With OEM hydraulic lifters. This is the graph from the fourth pull. While not making the most peak power, it was the highest power pull that met the rules for the average power numbers. 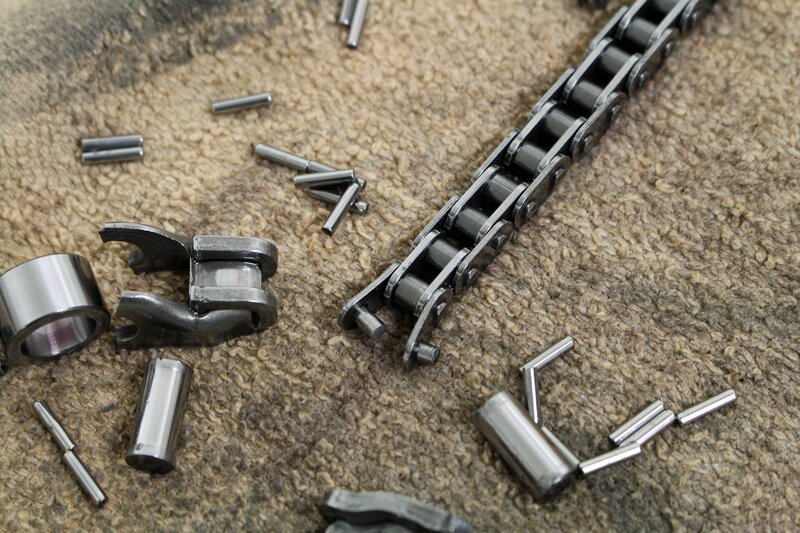 However, this time, the belt didn’t just slip, it did a full-on burnout on the pulley, actually leaving chunks of rubber in the teeth of the pulleys, which had to be cleaned out. Once again, the belt was swapped, and a little bit of the spray was applied to the belt. Also for the fifth pull, some minor tweaks to the base fuel and timing tables were made, along with bumping the sweep by 500 rpm, for a 5,000-8,000 rpm test. 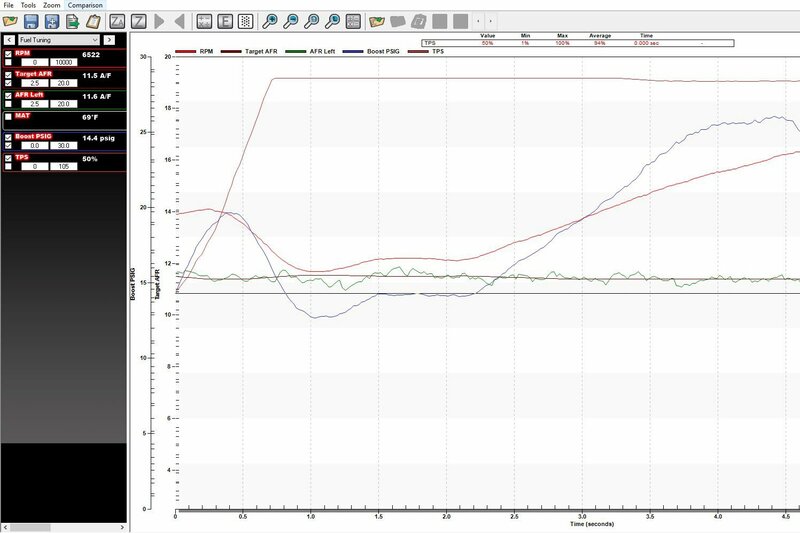 Apparently the engine liked those changes, while the belt did not, starting to slip at around 6,900 rpm, not making the same peak boost as the previous run, and tapering off to 29 psi at 8,000 rpm with the belt being defeated by physics. However, the peak numbers netted on that pull were better, coming up with 1,784 horsepower and 1,422 lb-ft of torque. As you can see, the “burnout” run actually left chunks of the belt’s rubber in the grooves of the pulley, much like the quarter-panels of a car after a burnout. At that point, everyone agreed there wasn’t much more to be done, as the belt slip was getting extreme at that point, because of how hard the massive crank pulley was over-spinning the F-1X blower. That is, until someone noticed that the ProCharger tensioner could be clocked an additional 120 degrees, putting a significant amount more tension on the belt. The tensioner was reoriented, the belt was reinstalled, and fingers were crossed. It was decided to lower the sweep range to 4,500-7,500 to give the belt a fighting chance. Looking at the data from the run, the additional belt tension was the ticket. While the belt was happy, the extra boost from the tension did something horrible. It overcame the stock head bolts, and they decided to let go in spectacular fashion. The fifth pull of the LS was the most powerful complete run, making 1,784 horsepower and 1,422 lb-ft of torque. Notice the shape of the curve past 6,900 rpm. That’s not the engine laying over, that’s the supercharger belt slipping hard on the pulley and losing boost. With a dramatic spray of coolant, a loud racket, and combustion shooting out of the front corner of the number one cylinder, the pull was over in exciting fashion at only 6,400 rpm. The cylinder pressure got the best of the OEM fasteners, which stretched enough to allow combustion to burn through the gap between cylinder one and three, torching the head and block. This may be the highest horsepower serpentine blower engine in history. We wouldn’t doubt it. LME did something amazing with this engine. 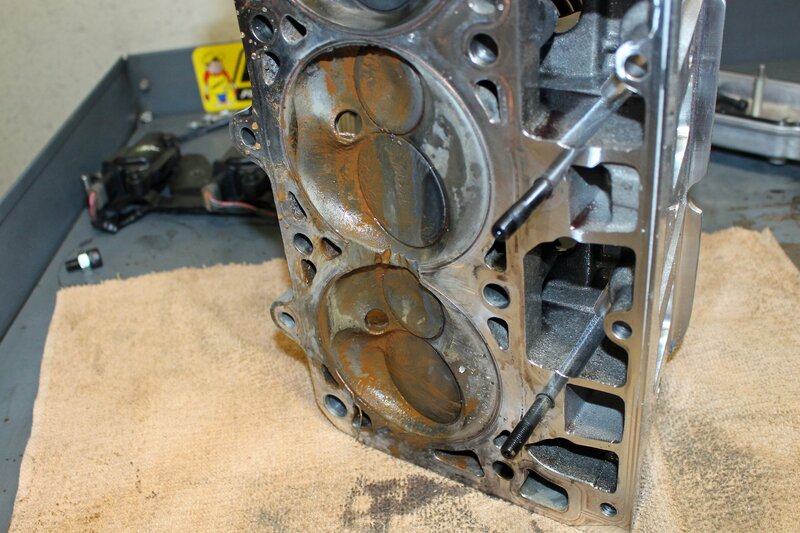 The head gasket failure alone (left) didn't look so bad. That is, until we pulled a head and saw the torched aluminum between the number one and three chambers. With the engine failures, a decision was made to use a 2,500 rpm sweep below peak power and 500 rpm over peak power because we never got (on either engine) to do a proper 3,000 rpm sweep ending at the engines’ peak power. It was still a 3,000 rpm sweep, but the only way to really get good useable data. It wouldn’t have mattered anyways in the points. Coyote: (3.640 bore, 3.650 stroke = 303.86 ci) – 4.3013 hp/ci. The two final runs compared with one another. That power disparity is probably a combination of blower size and displacement. To find out for sure, we’ll be rebuilding the engines with some durability upgrades and retesting both of them with identical F-1A-94 head units to see what how they compare. We learned a lot of valuable lessons about $15,000 engines that make 1,500-1,900 horsepower. We also learned, perhaps, that this question wasn’t so much whether the LS or Coyote platform was better, but which could take a larger supercharger and survive. We are going to do two things at this point. One, we’re sending the engines back to their respective builders and having them upgrade the failure points. As long as a change doesn’t affect power-producing potential, and only increases reliability, it’s an allowable change. Right off the bat, LME will be upgrading to ARP head studs, and MPR will be upgrading to the double-roller “blower” timing chains. The rest of the repairs won’t be determined until the builders receive the engines and can do a full autopsy on them. The second thing we’re changing for the retest, is that both engines will be running the F-1A-94 head unit, for a more apples-to-apples comparison. Oh yeah, and we’re letting them run cog belts so that belt-slip won’t be an issue anymore. This way, we can get a legitimate, no-excuses comparison of the two engines. MPR will be dyno testing their engine and LME dynoing their engine. While it won’t be an official “third round” at an independent test site, it will be monitored, and we’ll do a full story with the new results and some dyno videos. For the moment, the answer is clear. With these rules, and with these engines, the LS took the crown. 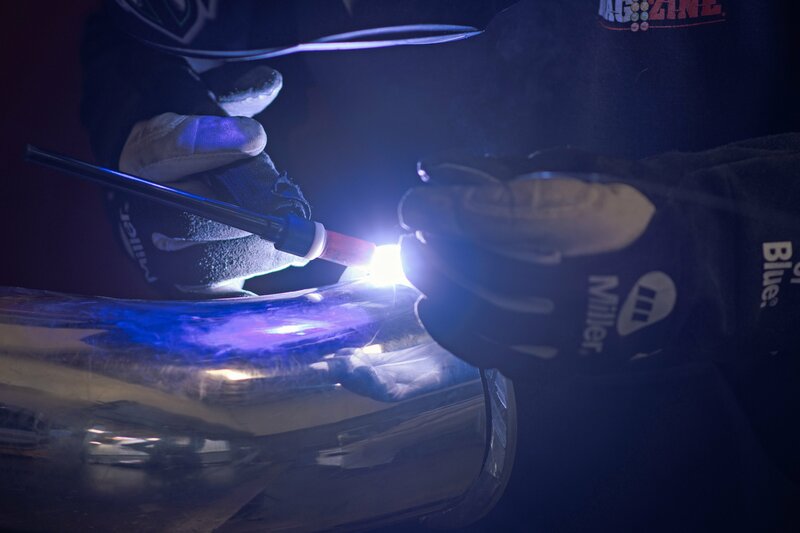 Backed by some of the biggest names in the automotive aftermarket — including ARP, BMR Suspension, COMP, Covercraft, DiabloSport, Dyna-Batt, E3 Spark Plugs, Holley Performance Parts, MAHLE, Mickey Thompson, ProCharger, QA1, Royal Purple, Summit Racing, TCI, Weld Racing, and others, the final installment of Horsepower Wars: LS vs. Coyote, Part 2 has made for an exciting battle. Stay tuned for additional editorial as we dyno test the engines one last time. In the mean time, we have the next season of Pony Wars on deck.